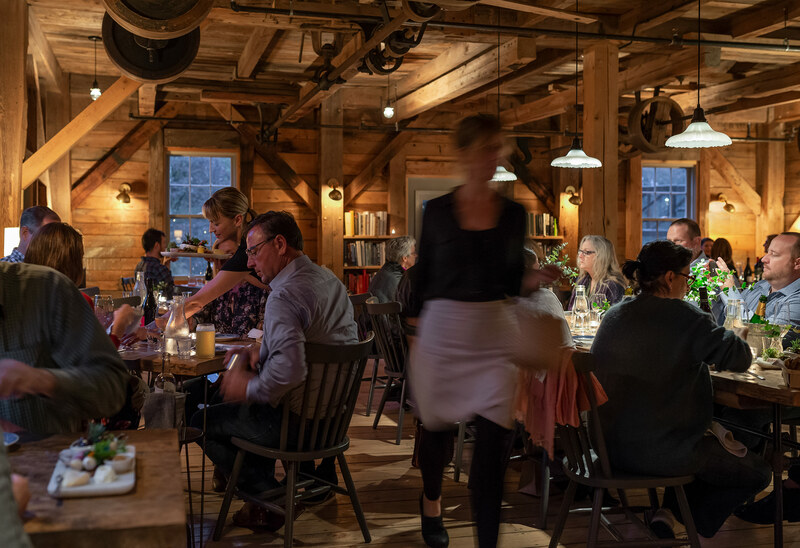 The dining room during dinner service on an October evening at The Lost Kitchen in Freedom, Maine. Erin French serves customers at left. For Cucina Corriere.